Sam Tannahill has a master touch with blending, bringing wine from more than 30 different vineyards together for the Oregon Pinot Noir in 2008. 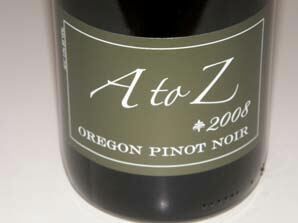 The wines focus on value (A to Z wines are priced from $12 to $19), and the winery is now one of Oregon's largest. The company also includes William Hatcher and Francis Tannahill labels, and Rex Hill, which the partners bought in 2006 with Gregg Popovich. In 2014, A to Z became the world's first winery to earn a new certification focused on socially and environmentally responsible business known as B Corp.